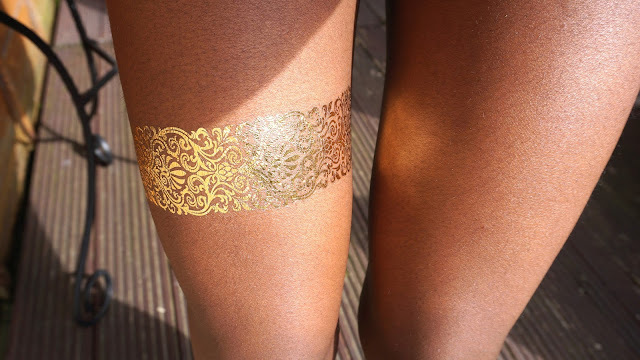 Let me first say that this is my first time trying out the temporary metallic jewellery tattoos and I have been incredibly impressed with the end results. 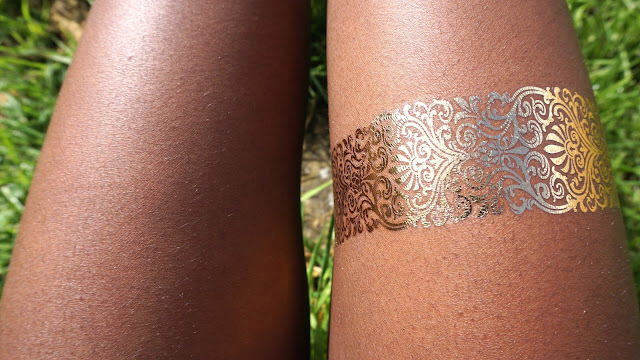 The application of the temporary metallic tattoos was simply and very straight forward. 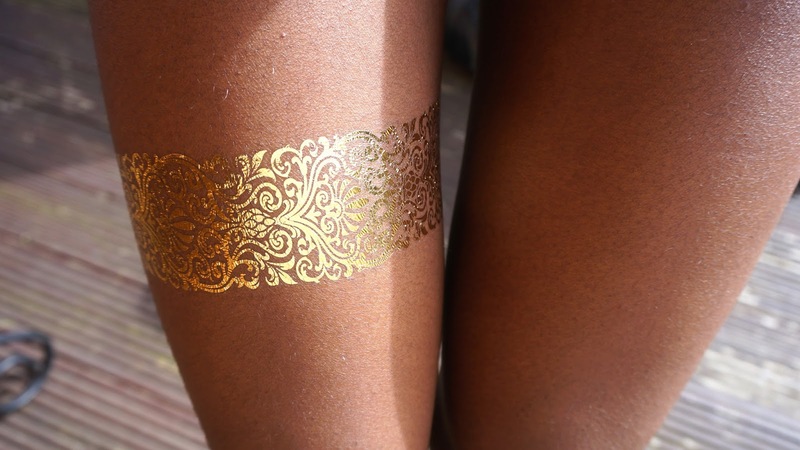 All I had to do was to first cut out the design I wanted to apply to my body, firmly press the cutout on my body and the dab a wet towel over it for a few seconds and then it was complete. 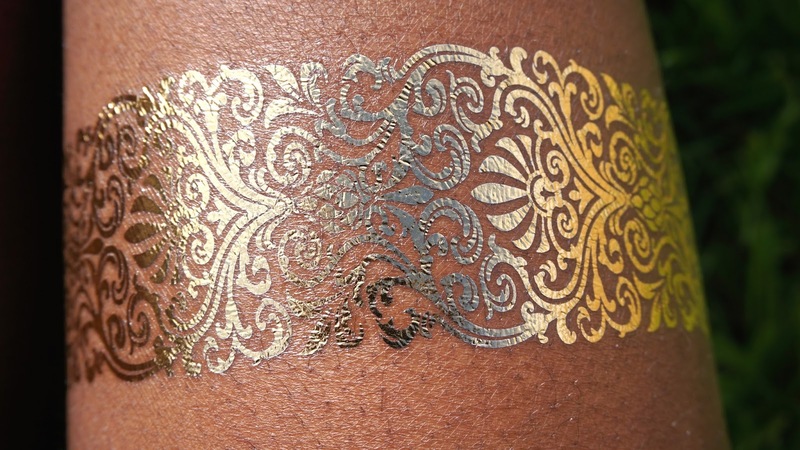 The temporary metallic tattoos are very much like the temporary tattoos you had and played around with when you were younger only more fashionable now. 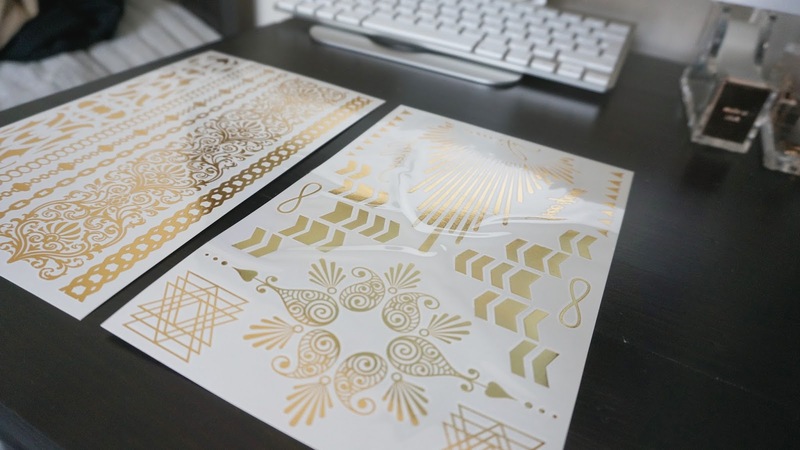 Pictured above are the two sheets of temporary metallic jewellery tattoos that I received in the pack. I picked up the Luxe metallic jewellery tattoos from the Bloggers Festival that I attended a few weeks back and now I wish that I had got my hands on more of them. It was one of the few freebies that I couldn't wait to try out and share with you guys. 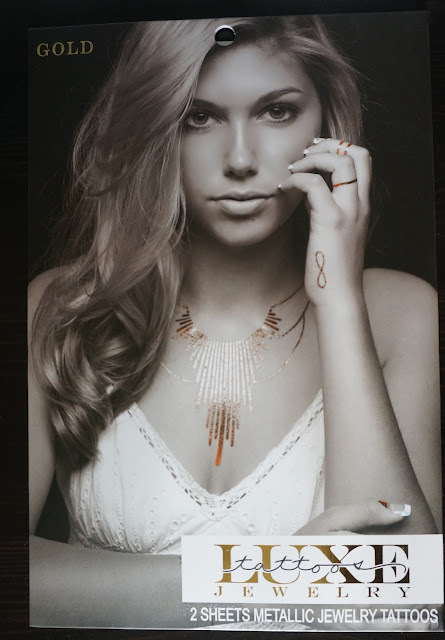 At present you can shop them online at Amazon.co.uk or The Present Finder for £11.99.